December is a huge month for Sephora every year. In a span of just a few days, several million customers visit our stores in search of the perfect gift. All of our teams – from the retail network to headquarters – work seamlessly together to ensure the highest standard of service during this busy time, an approach that perfectly matches Sephora’s DNA. The end of the year is a time of celebration and gift-giving for people all over the world, from the U.S. to Europe to Asia. And for retailers like Sephora, it’s also prime time for sales. With makeup and perfume on many a wish list, our customer traffic increases dramatically during the festive season. 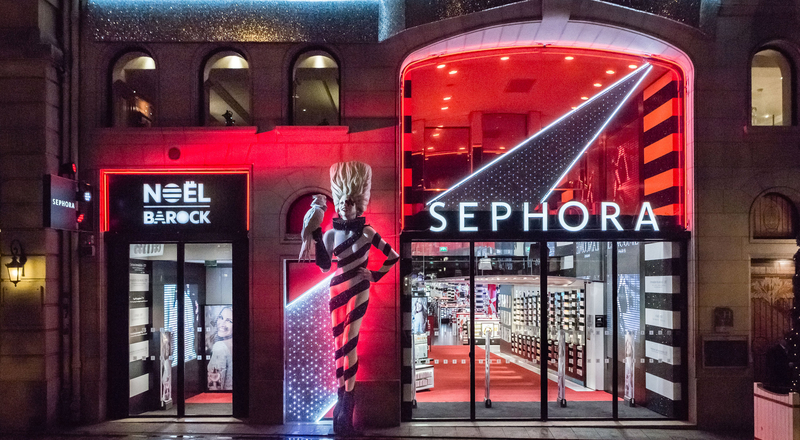 In fact, in 2012, the Sephora France stores welcomed more than 12 million visitors in the month of December alone. To provide our customers with a unique shopping experience and the best possible service, planning and preparation are essential. Given the large volumes involved, Sephora’s purchasing teams submit their orders to suppliers well in advance, planning more than a year ahead to ensure that our stores are fully stocked with ample inventory. Preparations for holiday marketing activities kick off at our headquarters in June. The final details are worked out in September and communicated internally to the retail network in October. By mid-November, everything is ready to be deployed in-store. The theme changes each year and is accompanied by a distinctive item of clothing for our sales associates. For 2013, the theme is “Noël Barock” and the accessory is a cuff bracelet. In November, the pace really picks up, and keeps escalating until the end of December. Retail teams are given an advent calendar that sets them a new (individual or group) challenge to accomplish each day as part of the store’s marketing program. All stores have the same calendar, which fosters a healthy spirit of competition among outlets. During the final run-up to Christmas, everyone at Sephora France pitches in to support the stores. Over a 48-hour period, staff from both our Boulogne-Billancourt headquarters and Saran site work alongside their colleagues in the stores. This eagerly awaited annual rendezvous generates considerable enthusiasm among both retail and central personnel. And literally everyone participates – including the members of the Sephora executive committee! Headquarters staff learns how to use a cash register or wrap gifts, enabling them to provide true hands on support for our front-line retail teams at this busy time. It also gives office teams an inside look at what happens in the retail network. This policy of getting headquarters people in the field is an integral part of Sephora’s DNA. And its powerful impact on team cohesion is a very concrete expression of the company’s employer brand slogan, “We Are Sephora”!